1. 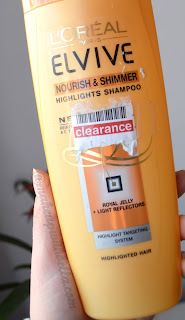 LorealParis Elvive, Nourish&Shimmer, Highlight Sahmpoo. Unfortunately it contains SLS, but hair smelled beautifully and were very soft to the touch. In addition, it was easy to comb the hair, but sadly on the second day after washing my scalp itched. So rather I wouldn't buy it again. 2. DrOrganic Virgin Coconut Oil Shampoo, £6.29. This shampoo is SLS free and rather I chose like this one. I use a variety of shampoos in this series, but unfortunately this specific one just was not to my liking :(. The hair after washing was dull to the touch, even though I always use conditioner. Nowadays I use the shampoo from Dr. Organic, but Lavender one and is much better for my hair. 3. 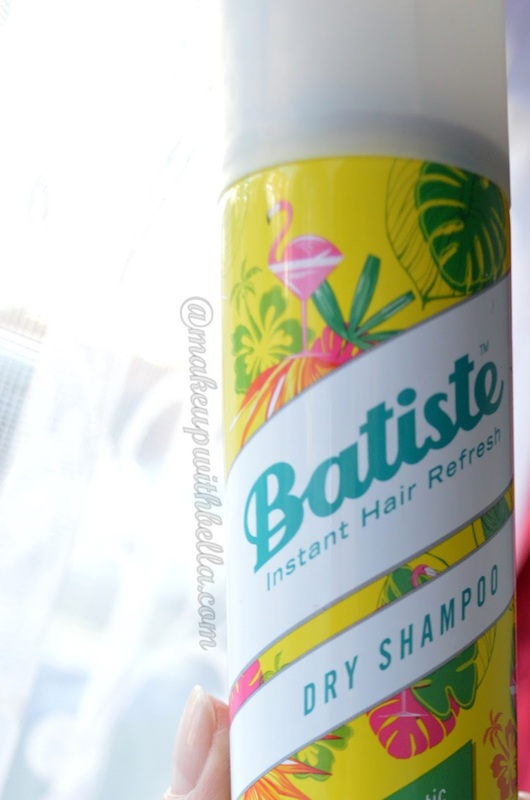 BatisteDry Shampoo, coconut&exotic tropical, £ 2.99. I love Batiste dry shampoos. Leave the hair refreshed, and full of volume, extra plus is gorgeous fragrant. This one is a very pleasant tropical scent of coconut. Will buy more, for sure but try different scents.). 1. NiveaSensitive 3 in 1 Cleansing Water for sensitive skin, £ 3.69. 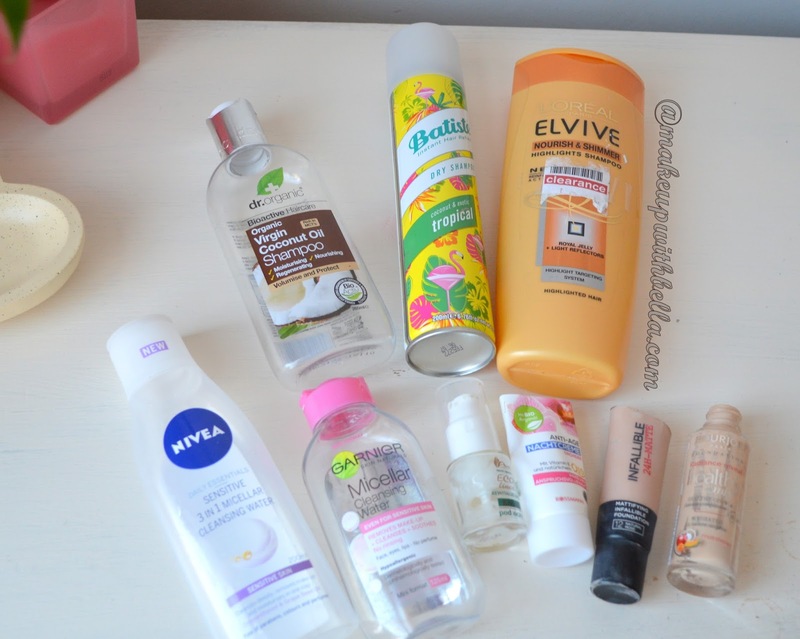 I adore it: thoroughly remove the makeup and is very pleasant to the skin. I've reviewedit.). 2. 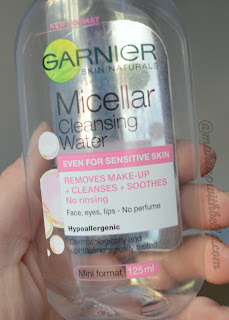 Garnier MicellarCleansing Water (mini format), £ 1.99/ Savers £ 0.99. 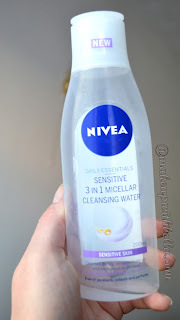 I like it, but perhaps the most for that is emitted in a tiny bottle that fits perfectly into the drawer in my dresser and I always have it on hand if need to use it. Another bottle is already standing :);). 3. Alterra Anti- Age night cream with vitamin E and Q 10, about £1,50- £ 2,00. 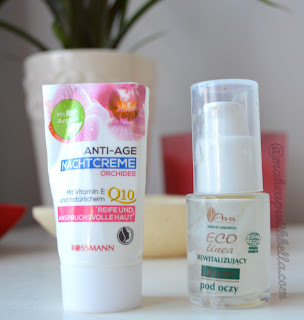 Great night cream which leaves no greasy filter on the face and quite quickly absorbed. The composition is sensational, like all the products of this Germany brand. The smell is quite intense and slightly alcoholic (but don't mind). Polish ladies should know these cosmetics as they're available from the Rossman shops only and therefore not available here in UK. :( I'll purchase more Alterra cosmetics during my summer holiday ;)! 4. AvaLaboratorium, Eco Linea, under eye cream, 45.99 zl around £ 9.00 £ 10.00. It's been working perfectly at night, because it has a fairly thick consistency. Beautifully moisturized the eye area, but the glass container with pump made it impossible to the use of the cream to the "last drop" ;p! Not available in the UK. 1. L'OrealParis Infallible 24H- Matte, £7.99. Nice coverage, and would state that like it more than Revlon Color Stay, but the short range of colors doesn't allow me to be satisfied in 100%. 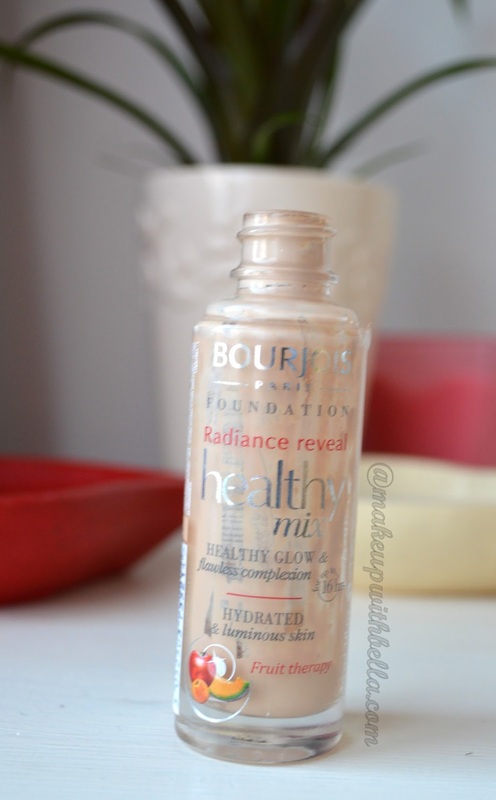 I plan to test the Bourjois Air Mat foundation next. 2. Bourjois,Healthy Mix, £9.99. Despite the fact that my combinated skin has shine after about two hours after application, however, very much I liked with it. It gives to the face a satin, natural finish and has a yellowish color so nicely covered redness. Surely purchase it again. Have any of these products fell into your hands maybe? Do you have similar opinions? Let me know in the comments.